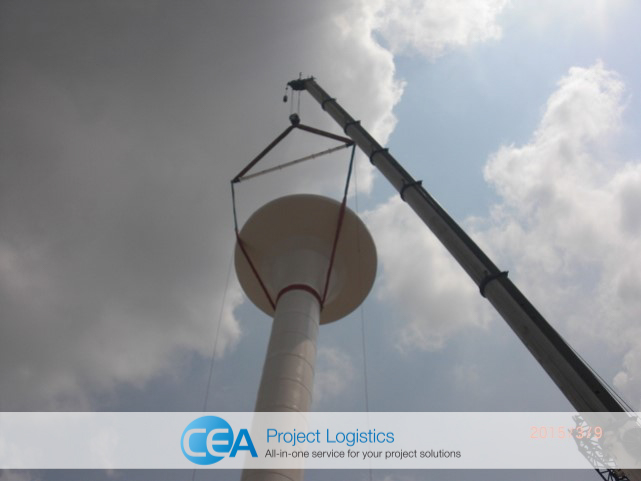 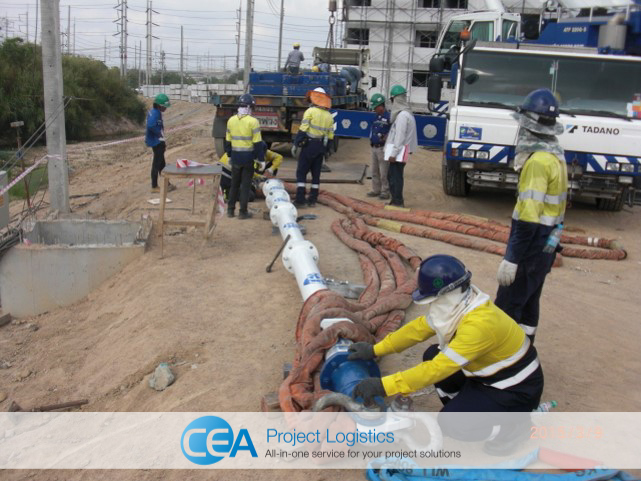 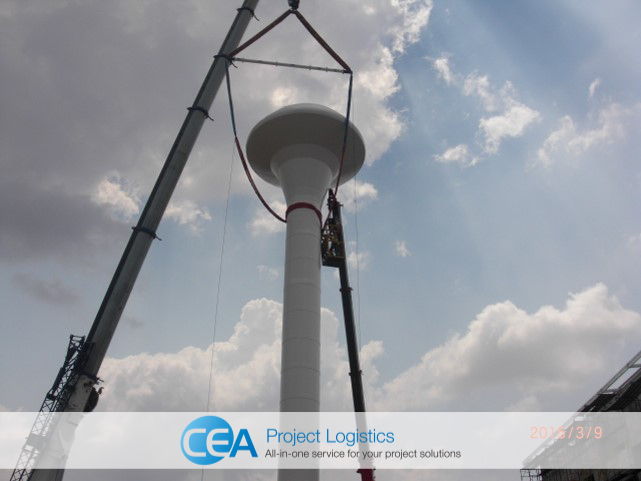 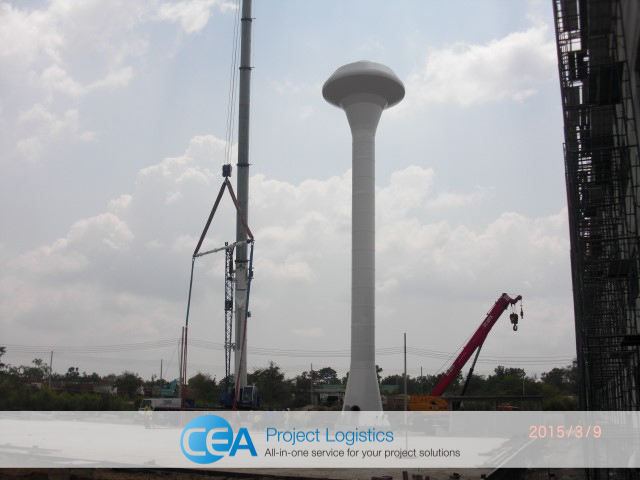 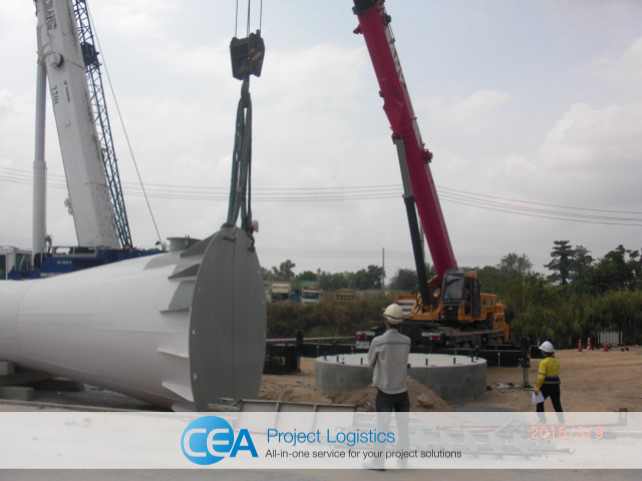 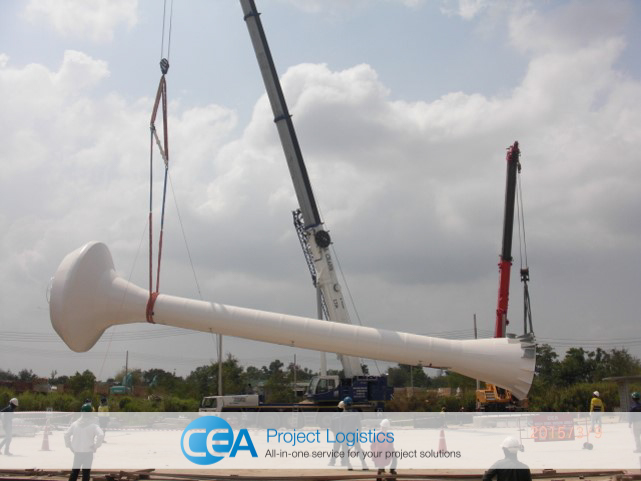 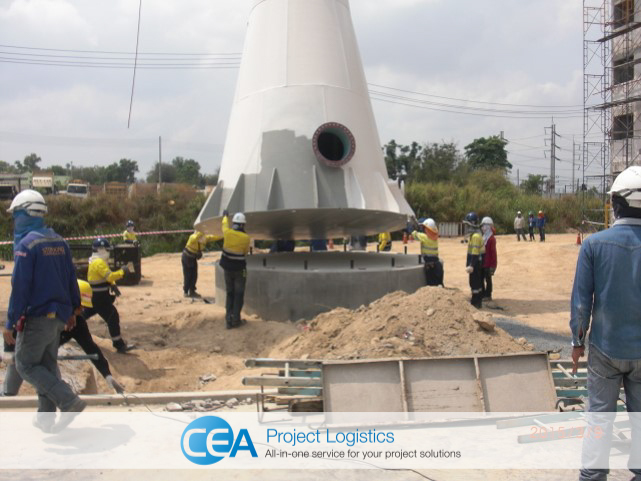 CEA Project Logistics carried out the installation of a water tower at a condominium development in Rayong province. 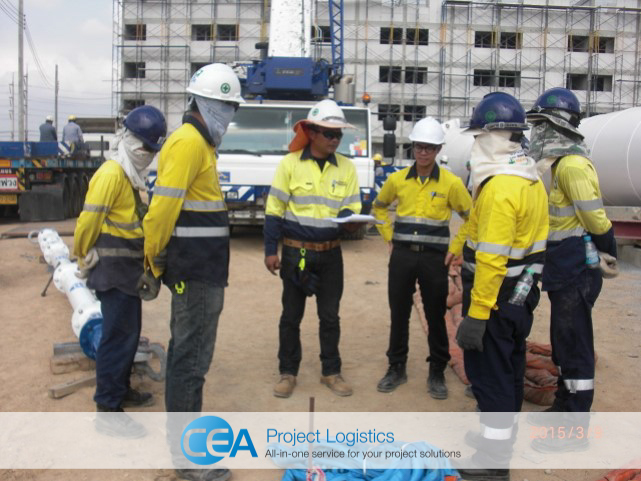 CEA Lifting engineers and their teams inspected and approved all rigging equipment before beginning the operation. 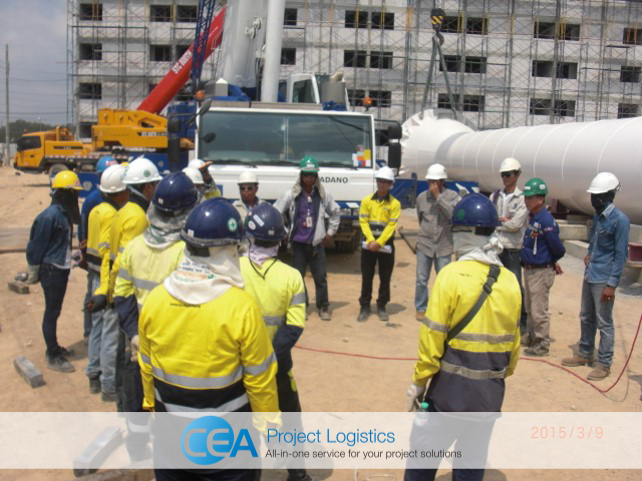 Two mobile cranes were moved into position and prepared, a short team briefing and tool box talk followed about the slings and rigging configuration that would be used in the lift. 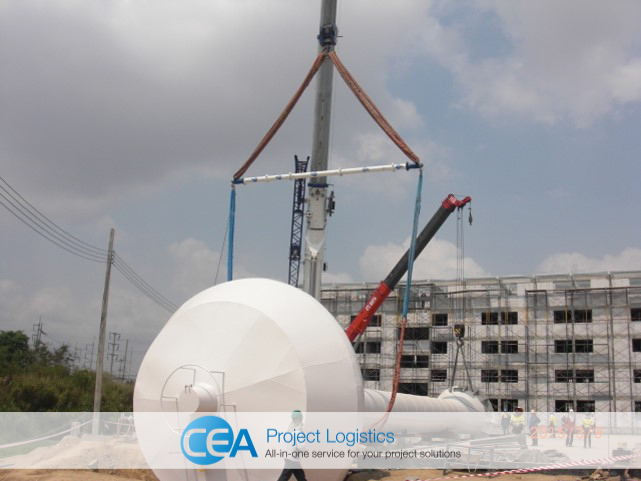 A modular spreader beam was assembled and the required slings attached. 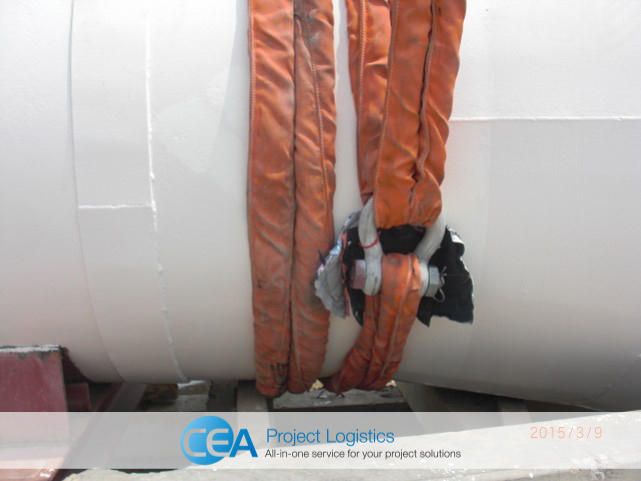 At the slings point of the contact with the tower rubber and cotton protection was applied to ensure no damage to the towers surface would occur. 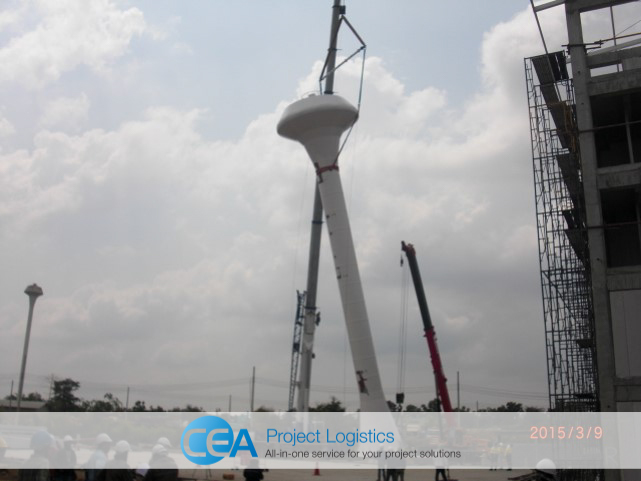 Both cranes in tandem lifted the tower then maneuvered it on to its concrete base, CEA teams then affixed the bolts and secured the tower in place. 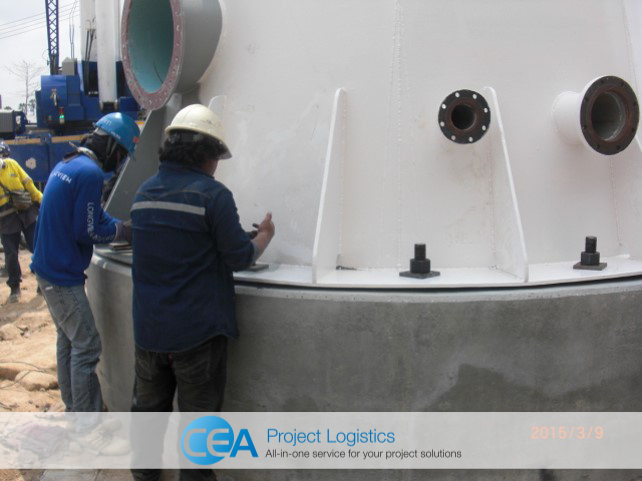 The rigging team unhooked the slings from the tower and dismantled the spreader beam finally completing the project with general housekeeping duties.